What time should we come? It is of great importance to have your central heating equipment checked and serviced regularly. Central heating maintenance prevents you from being faced with annoying surprises. 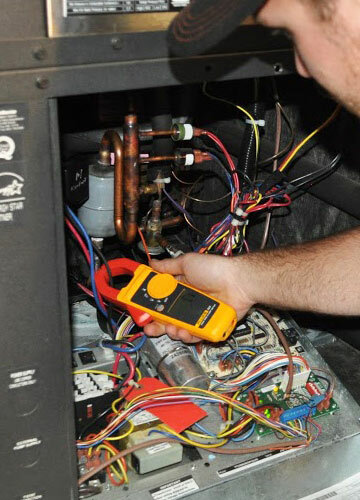 And of course with central heating maintenance, your furnace will last a lot longer. A nice extra is that you will also notice it in your wallet, since the central heating furnace will run more efficiently. The importance of central heating maintenance is bound to be forgotten sometimes. Central heating maintenance is very important to be able to discover malfunctions before they happen. Most of the time, a service contract is drawn up for the central heating maintenance, and we will come by once a year. Of course you can also contact us for a one-off maintenance for your central heating. JVD Direct Services B.V. is specialised in maintenance, repair and installation of all makes and models and is also an official dealer of all important brands. 24 hours a dag 7 days a week.